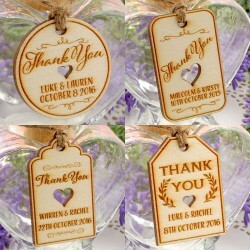 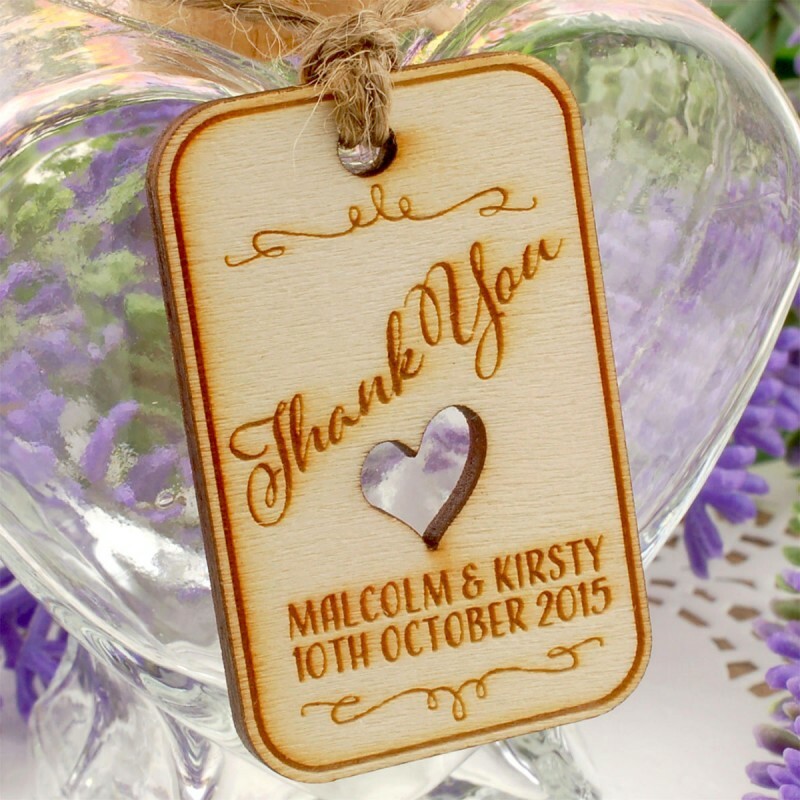 You will receive personalized natural wooden engraved gift tags in the design and lot size of your choice. 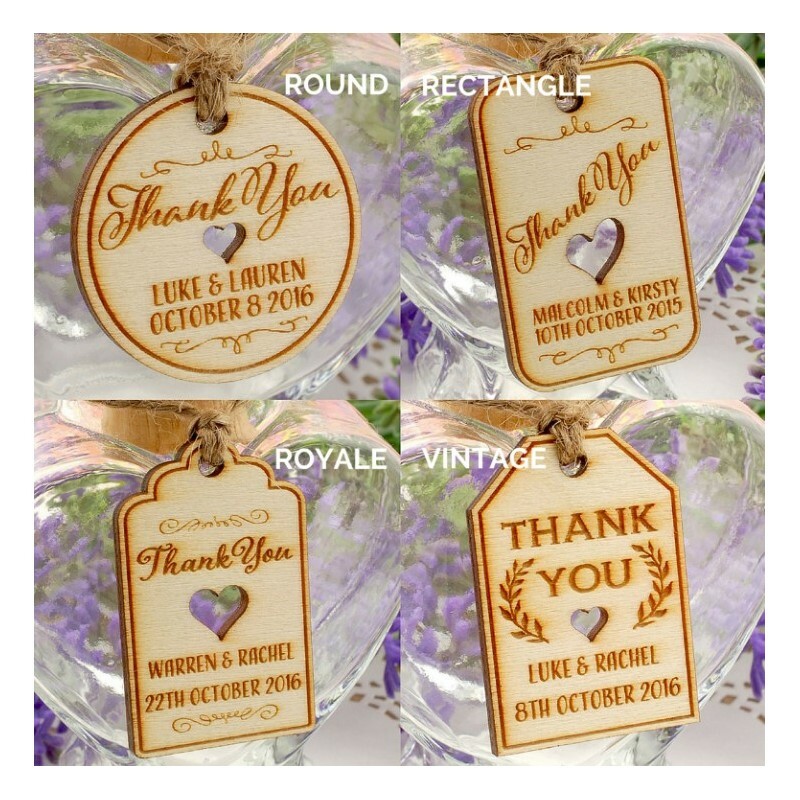 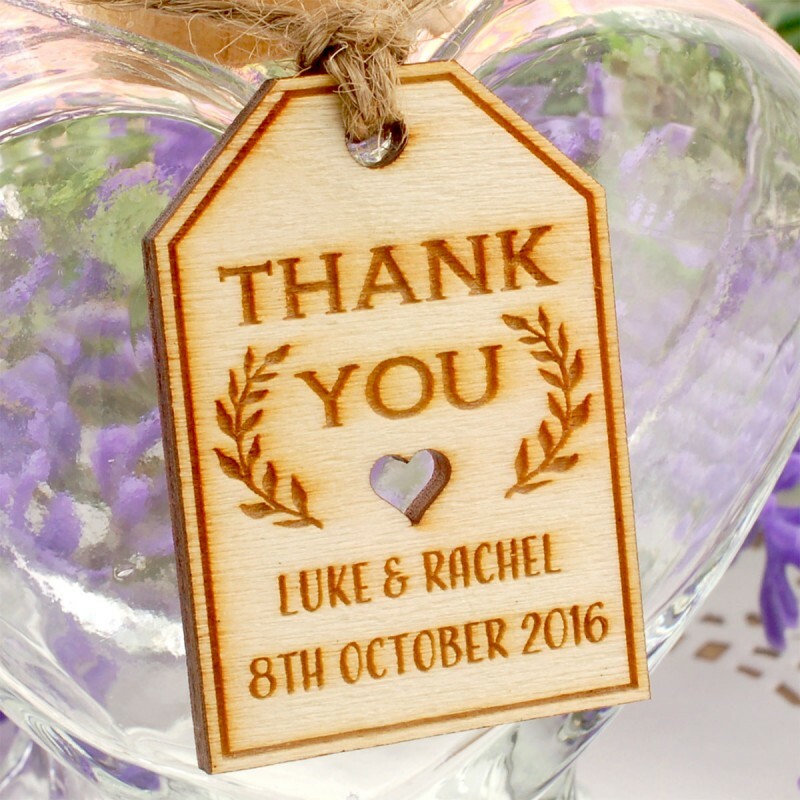 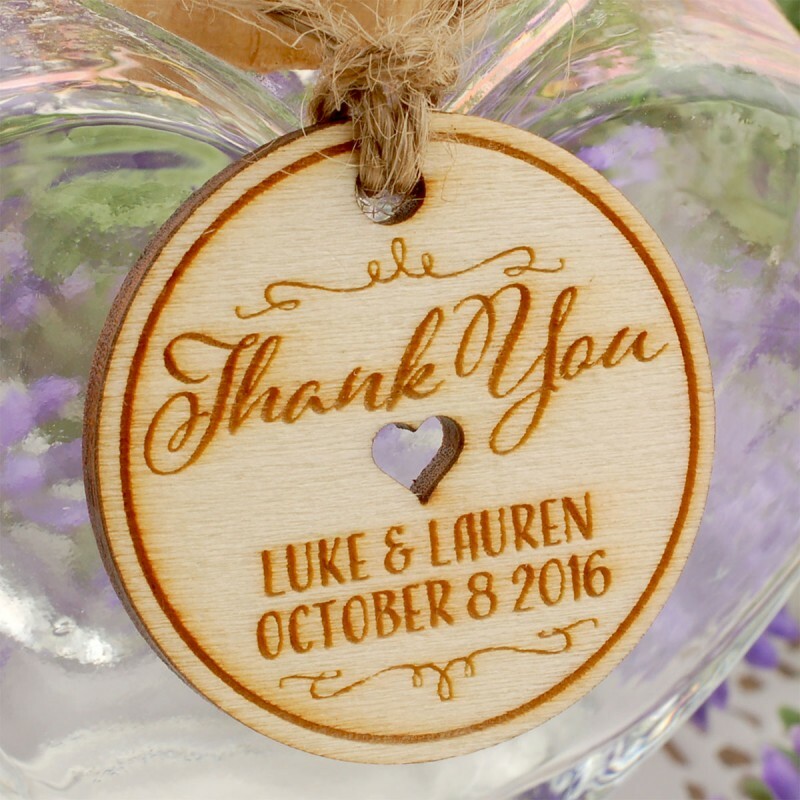 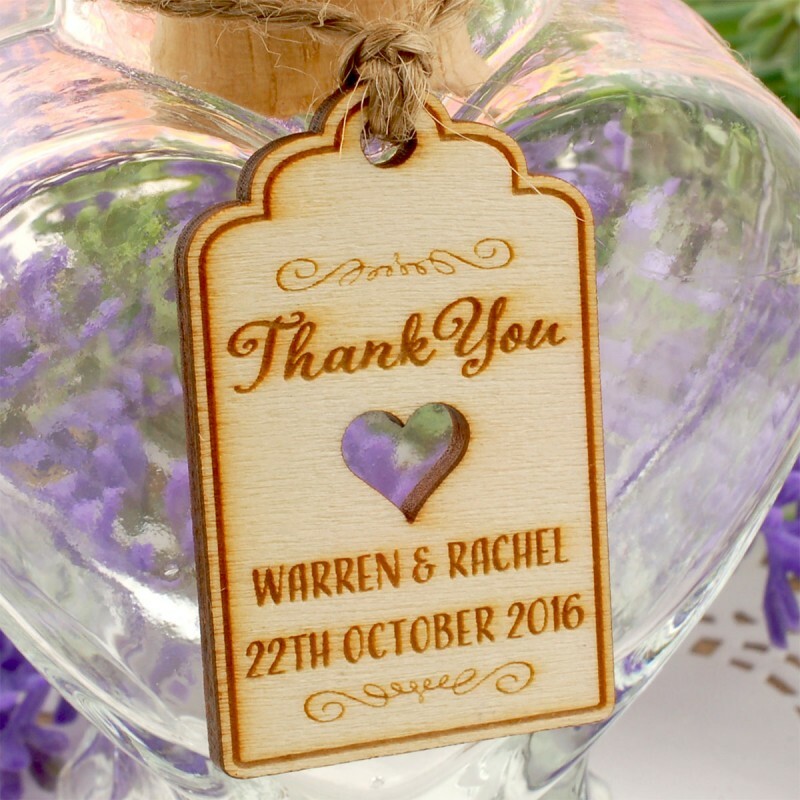 You will receive personalized natural wooden engraved gift tags in the design and lot size of your choice (only sold in 50 or 100 pieces). 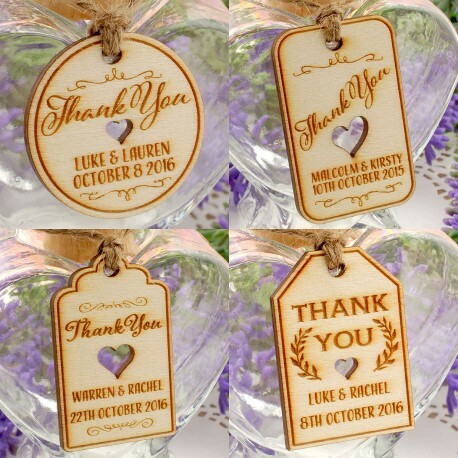 The gift tags come with untied, jute twine measuring around 20 cm (7.87 inches) in length. The tags are made using plywood with a thickness of 2.5 mm, and the back of the tags are blank.